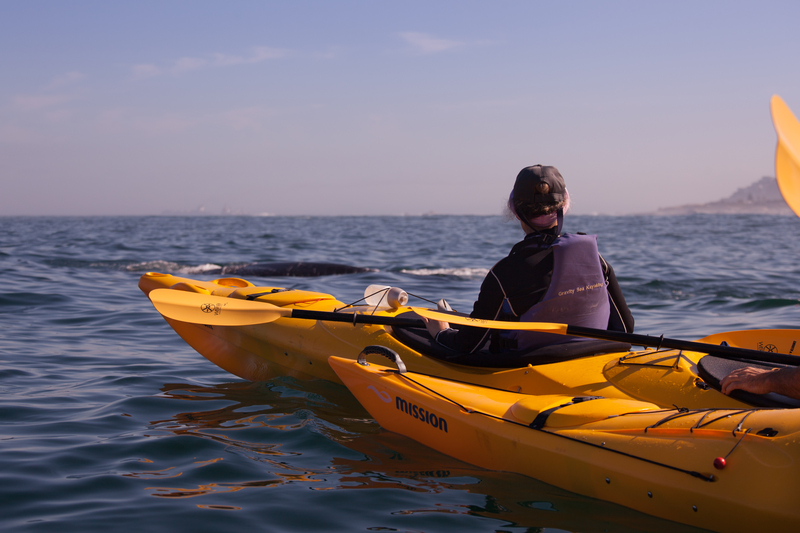 Why have a mobile sea kayak operation you may ask? 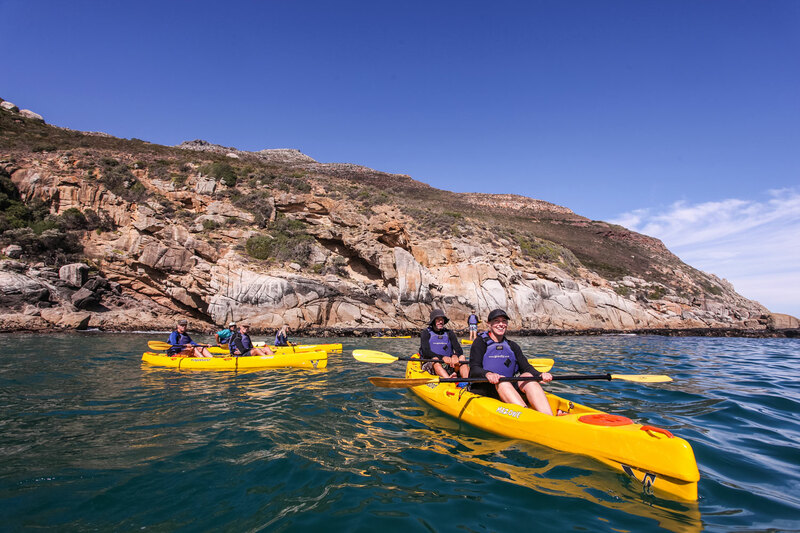 Well over 20 years of Sea Kayaking around the Cape Peninsular, we would hate to limit ourselves to only one route and being mobile also means we are able to paddle in the best conditions on the day! 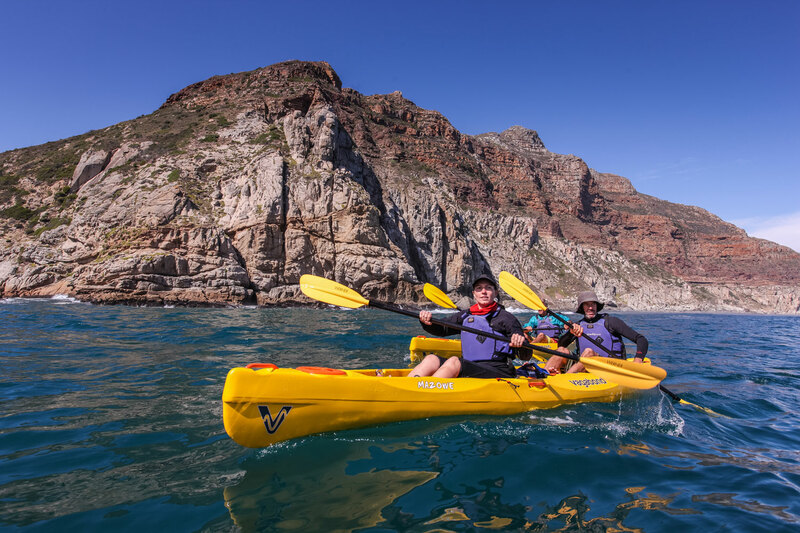 Our kayak trips are suited to all skill levels and we have purchased locally designed and manufactured double sit on top kayaks from Vagabond kayaks. 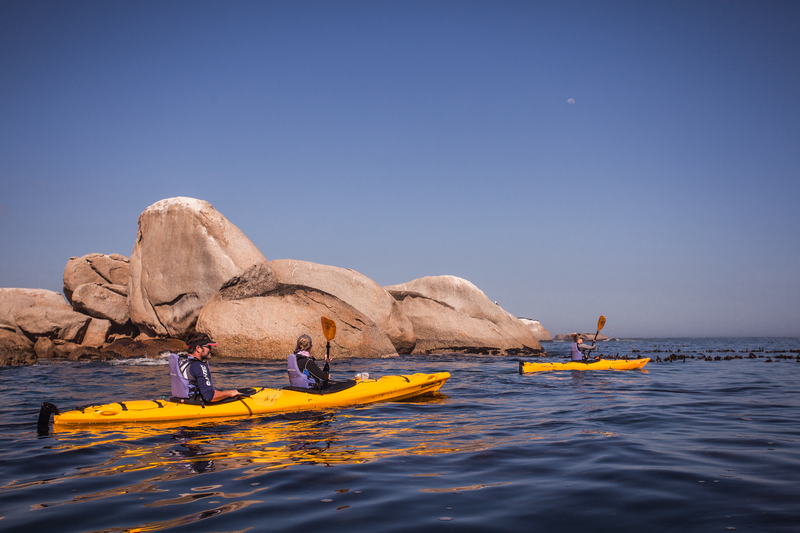 These are super stable, comfortable and fast kayaks with ample room for storage. 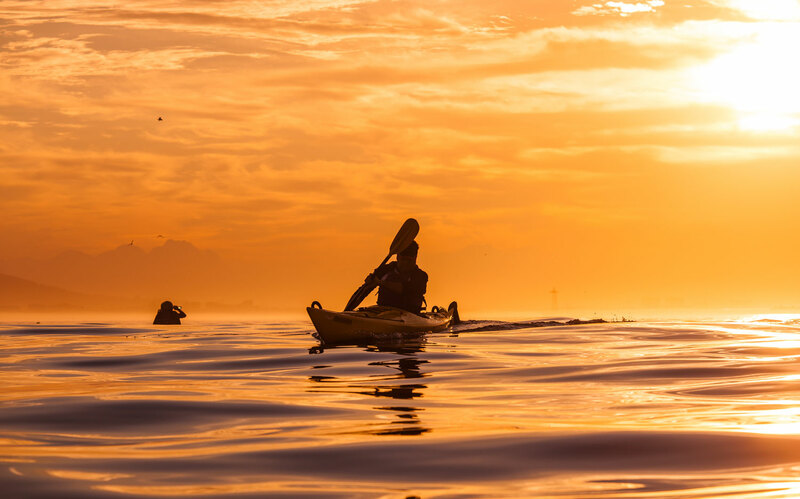 We have developed three routes which we will offer as our standard trips but are always open to new routes that our clients might want to paddle! 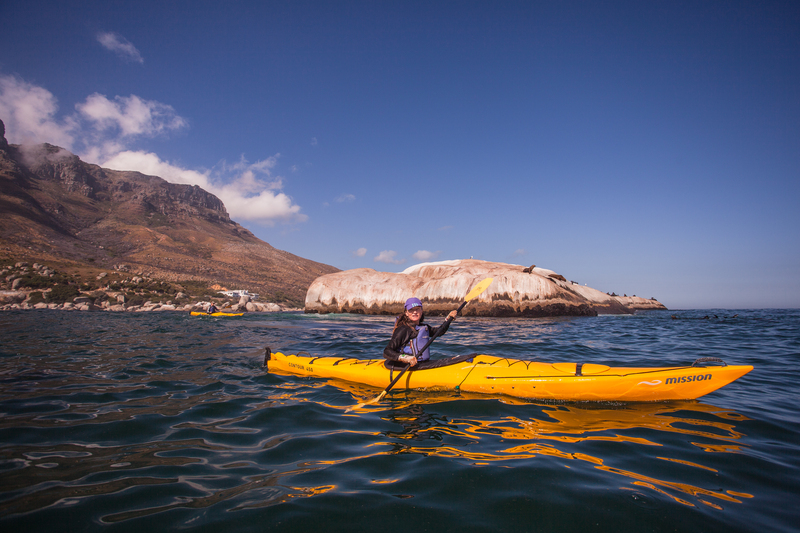 Olympia cafe coffee and biscuits, Kalk bay fishing boats, seals swimming under your kayak, what more could you ask for in a morning paddle! We meet at Fishoek beach next to the lifesaving club where there is ample parking. 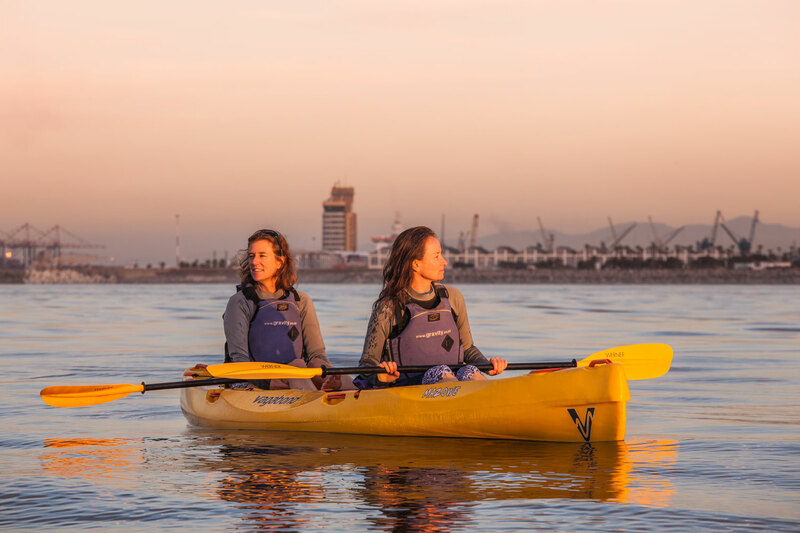 You will gear up and get a safety briefing from your guides before heading out onto the water. 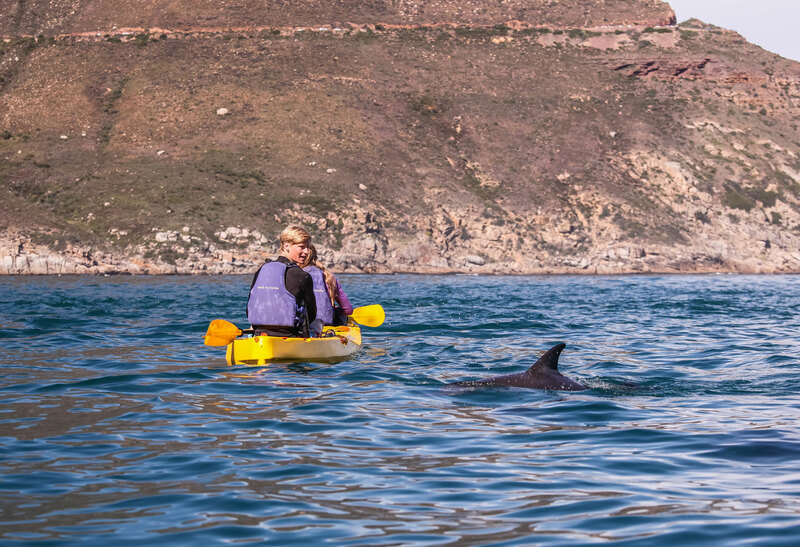 The paddle offers great views of False bay and we often stumble upon whales, seals and dolphins. The trip takes you int the harbour where we get to stretch our legs over a cup of coffee watching the train buzz by. 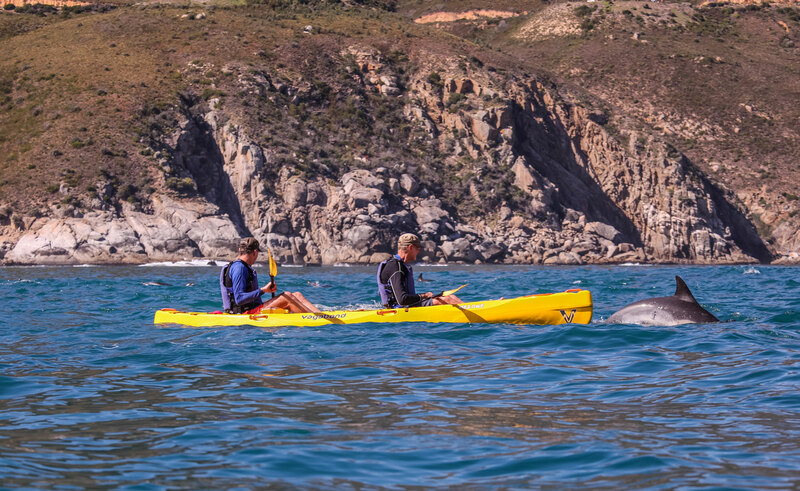 The trip is around 2 hours from start to finish so that you can carry on exploring the rest of the peninsular. It is best done early morning. 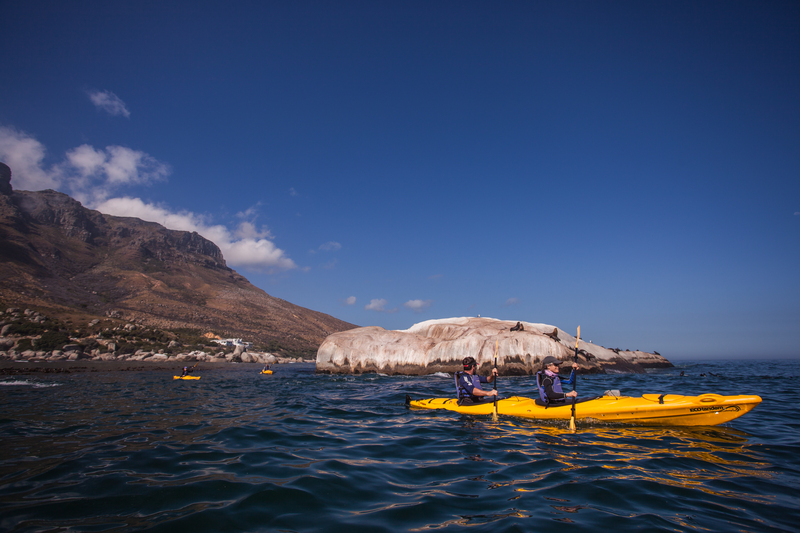 This is arguably the most scenic road in Cape Town and we get to explore the inaccessible coastline by kayak! Hidden beaches and caves are ever present and the water so clear you can see right to the bottom! 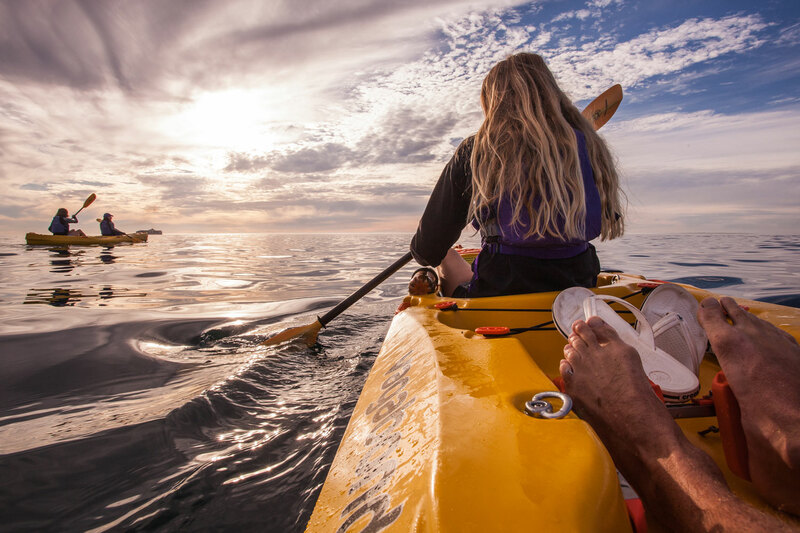 This is an in and out paddle as we don’t have many places to land but it offers the most spectacular views of the bay looking over the Sentinel. 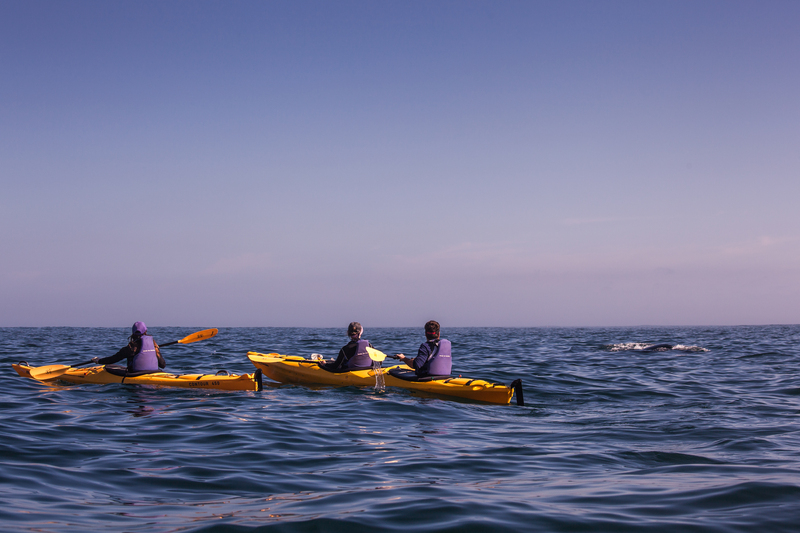 This is the iconic sea kayak trip for any traveler and local alike. 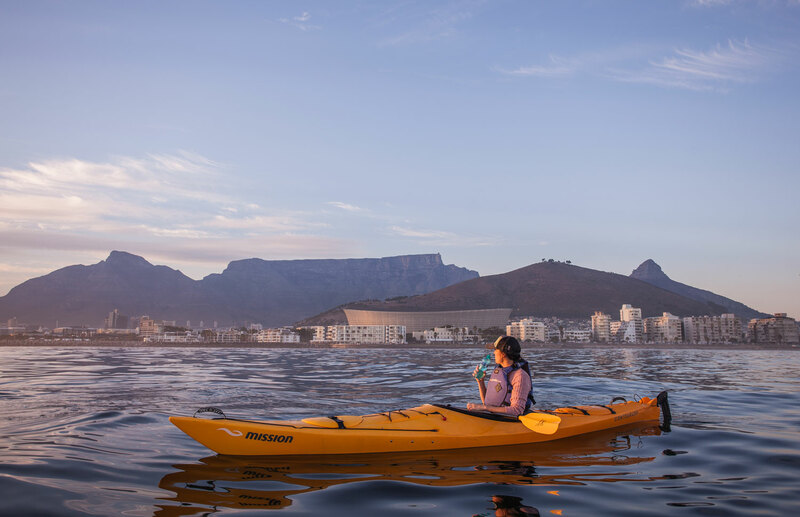 It gives you a full 180 degree flip on your perspective of Cape Town! 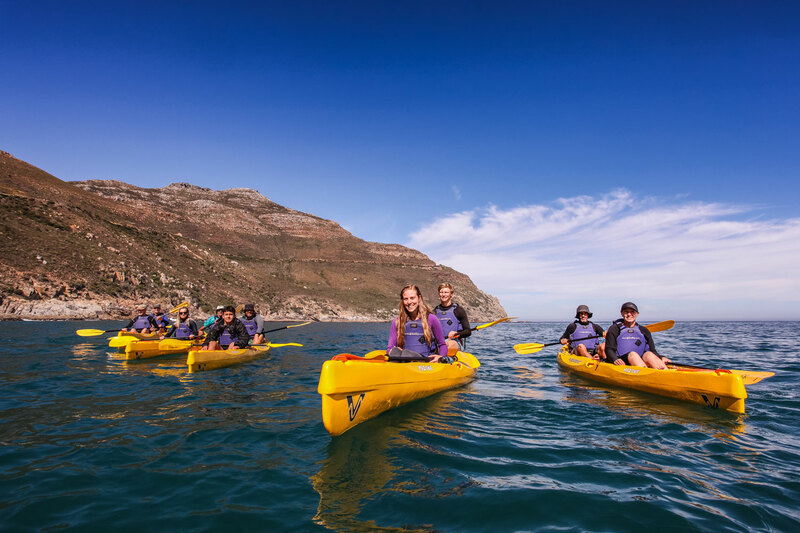 With superb views of Table Mountain, the Cape Town stadium, the waterfront and the Atlantic seaboard, this has to be the best way to see Cape Town! 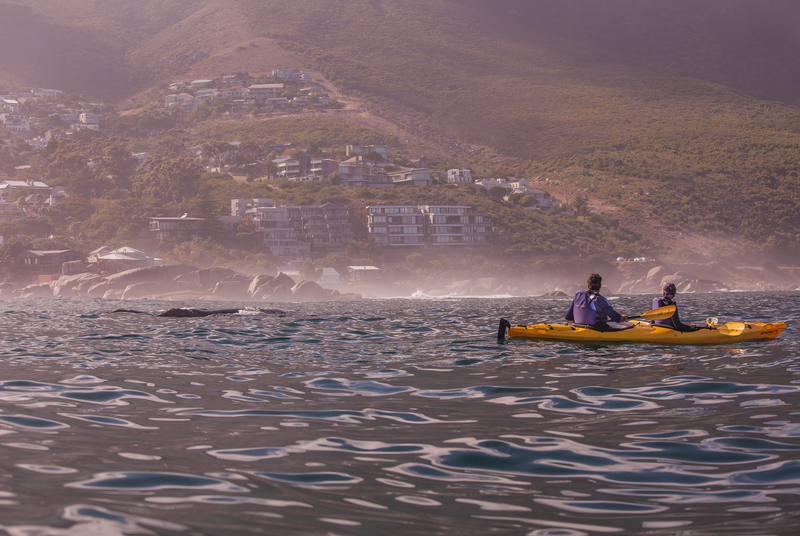 We met at Moullie point and launch from the slipway and very quickly you are surrounded by water. 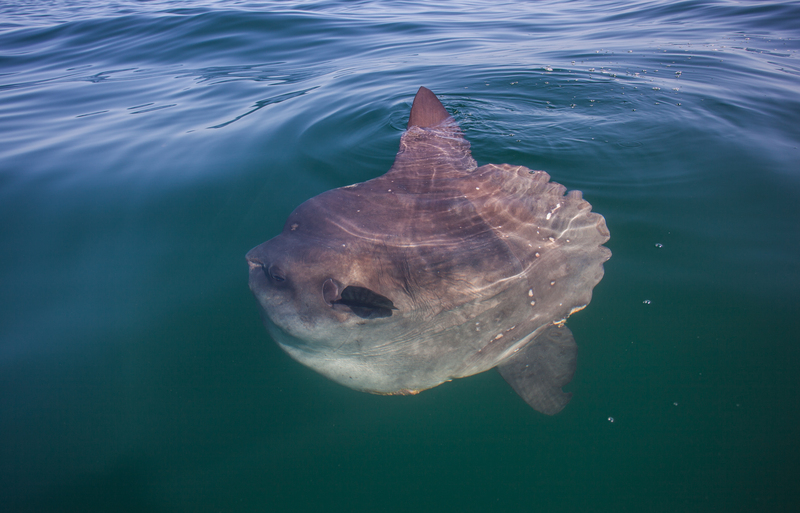 There are often sightings of Dolphins, Sun Fish and Whales. 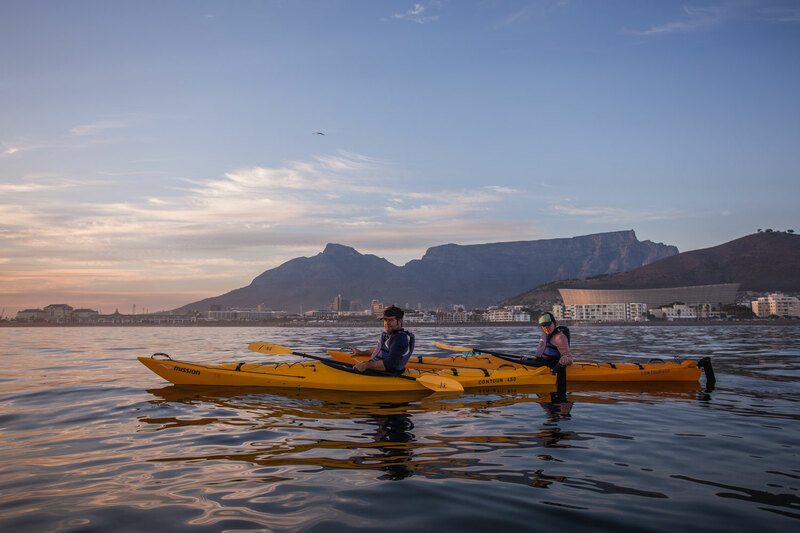 We try to head out at sunrise and sunset as it offer the best views of the city! 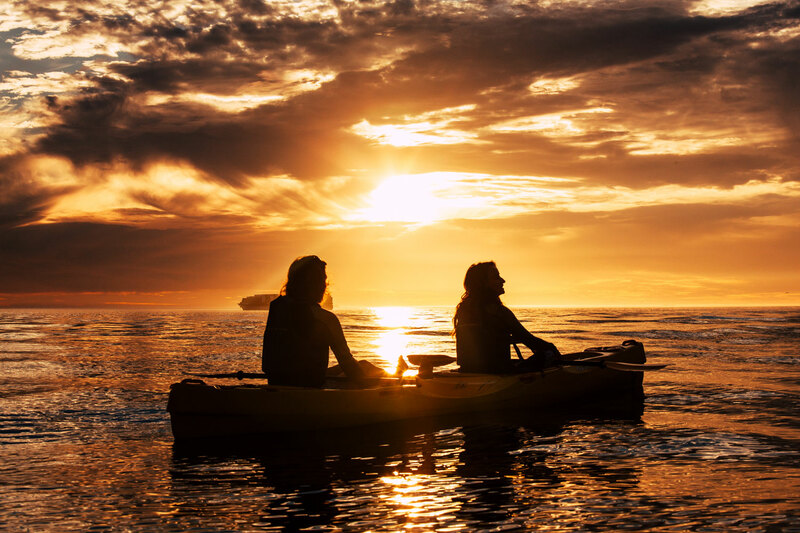 Love paddling ? 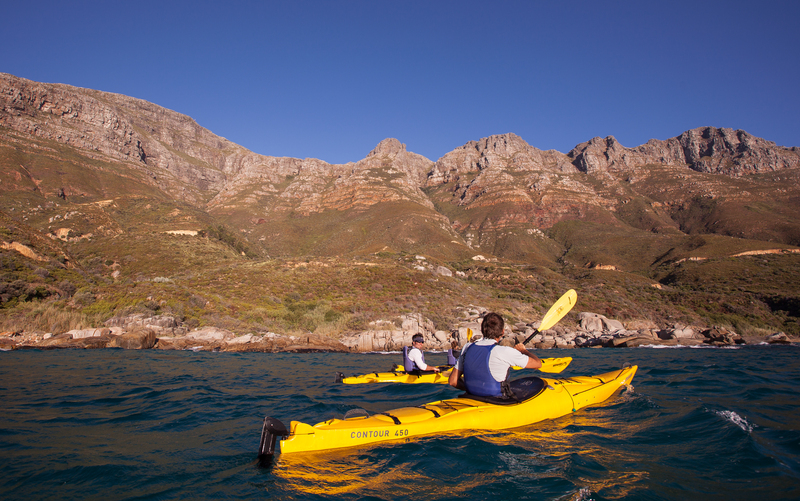 Our ‘Club’ concept allows you to paddle with is once a month for R300.00 a paddle! 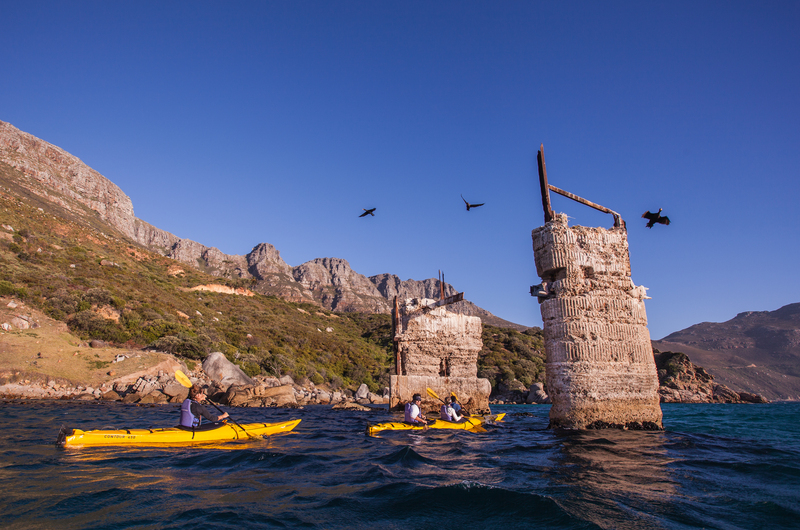 Join us for R300p/month or R2500.00 a year (12 Paddle tours a year included). No need to buy, store and clean equipment! 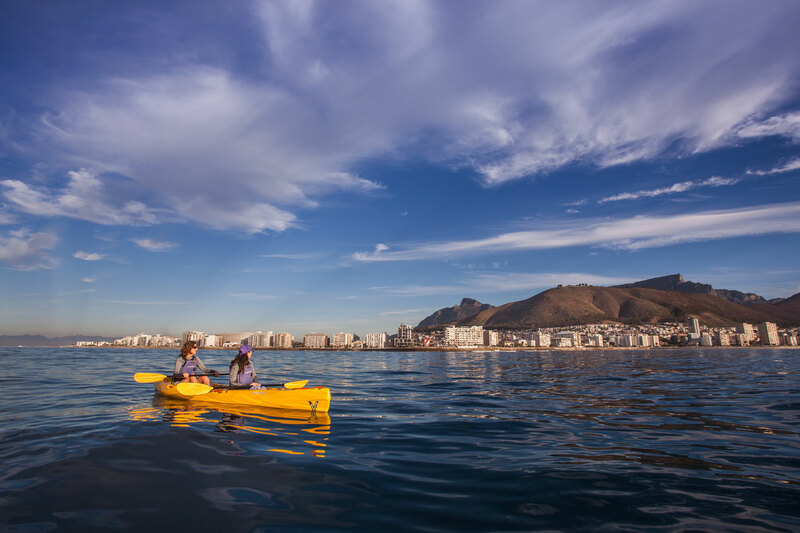 Just meet us before or after work and join us for a paddle! We bring all the equipment needed, provide guides and clean up once you leave. 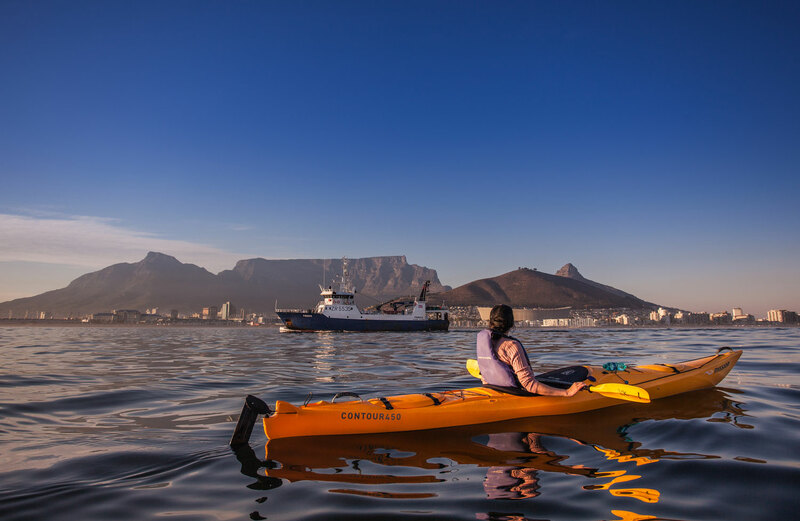 Depending on numbers we use imported sit inside kayaks, Perception Mission, for these trails and will be exploring more adventurous routes around Cape Town! 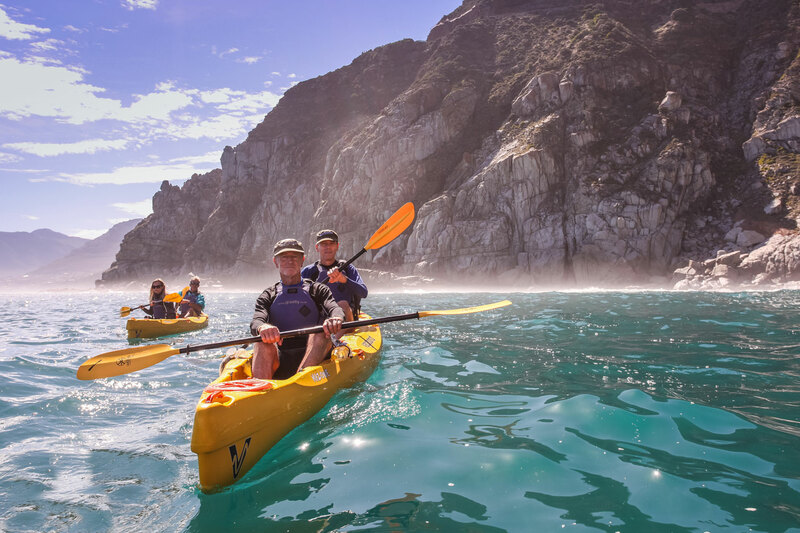 Want to join our Paddle Club? Contact us! 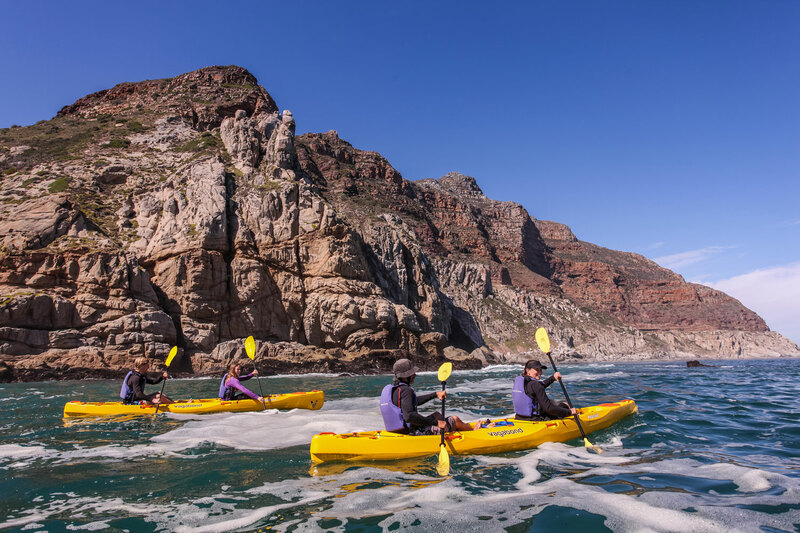 *All tours are weather and swell dependant, clients will be advised upon booking.